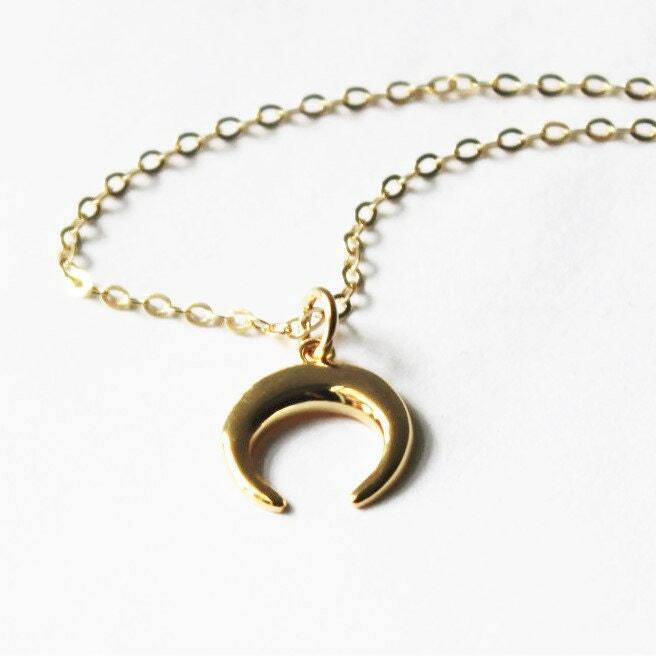 One tiny moon necklace handcrafted just for you! 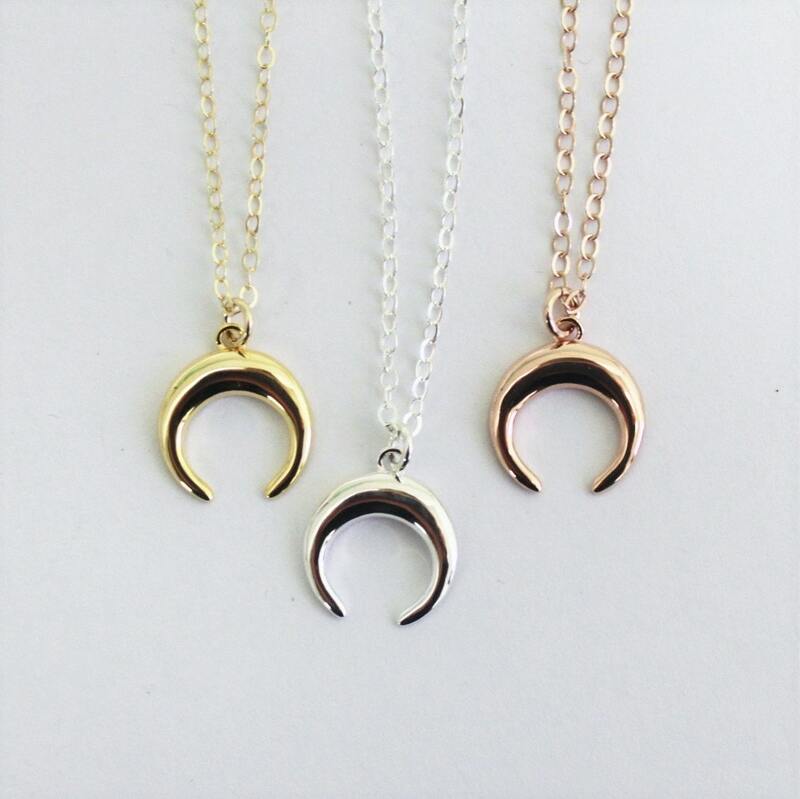 A dainty upside down moon charm graces a shimmering chain. -Charm is approx. 14mm by 13mm in sterling silver, gold plated or rose plated option. 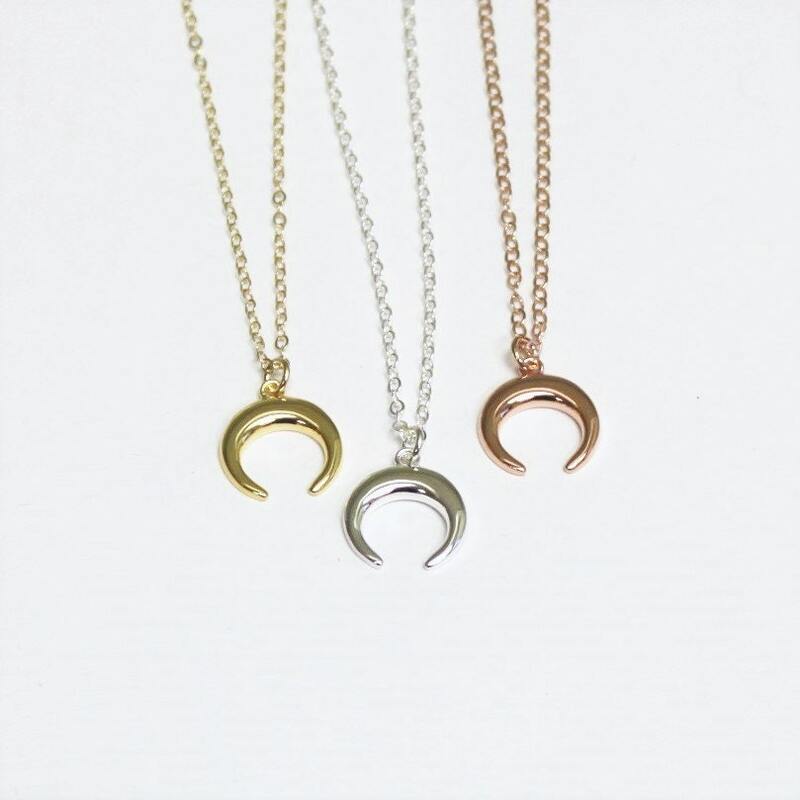 -Chain is 14kt Gold-Filled, Sterling Silver, or Rose Gold-Filled. Perfect for layering! Listing is for one tiny moon necklace only. Please visit my shop for more layering designs. - Model is wearing 16" in both photos. 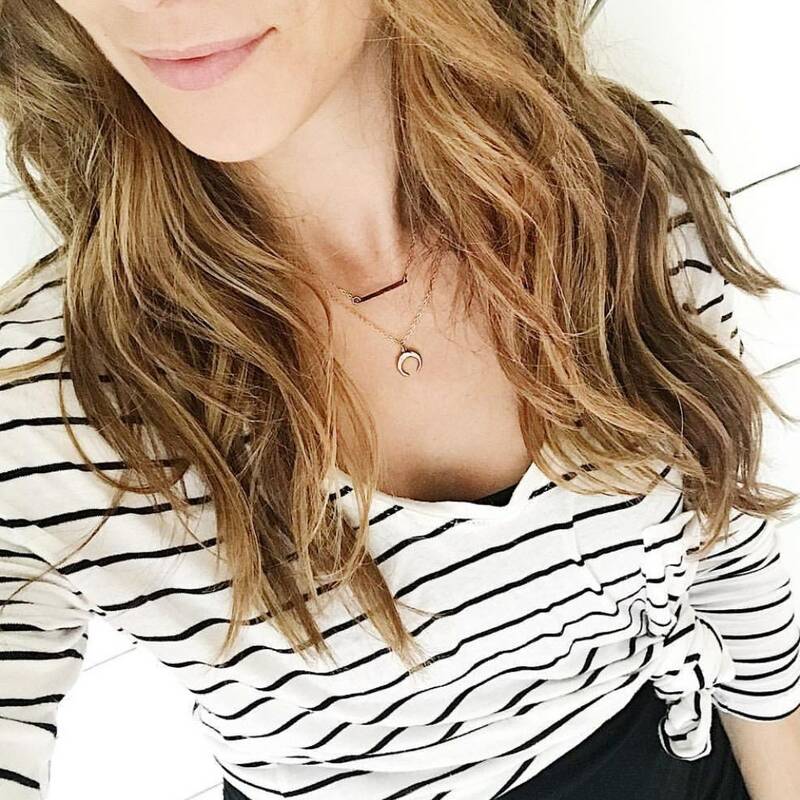 Fast shipping and I love my new necklace! So simple yet beautiful! A great layering piece! Love!! Beautiful piece of jewelry, I will definitely purchase from this shop again!